Most Officers carry a knife with no formal training or policy to follow. The ol’ I use it to cut seat belts, won’t fly in court when a dept has no policy or training. Our course is designed to address the Dept’s concerns of what type of knives officers are carrying and how it is used in the field. 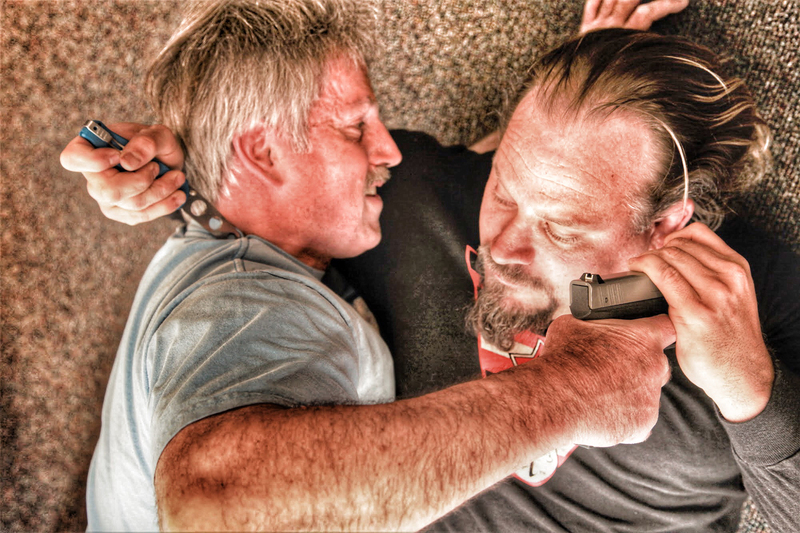 Knife Carry S.O.P.s, Sample Knife Policies, Why and where to carry a patrol knife, The types of knives and which one to carry, Defensive Tactics with the knife and empty hands, Weapon retention techniques with the use of knives & Empty hands defense against suspect with knife. Requirements: Students must bring a red gun type mock weapon that will fit in their duty holster and eye protection. Certificate: Certificate of attendance after completion of class. On completion of this Instructor Level Course student will be certified to teach the one day Patrol Carry Knife User Course. User Course Outline, Training Drills, Safety Consideration, Knife Carry S.O.P.s, Sample Knife Policies, Why and where to carry a patrol knife, The types of knives and which one to carry, Defensive Tactics with the knife and empty hands, Weapon retention techniques with the use of knives & Empty hands defense against suspect with knife.